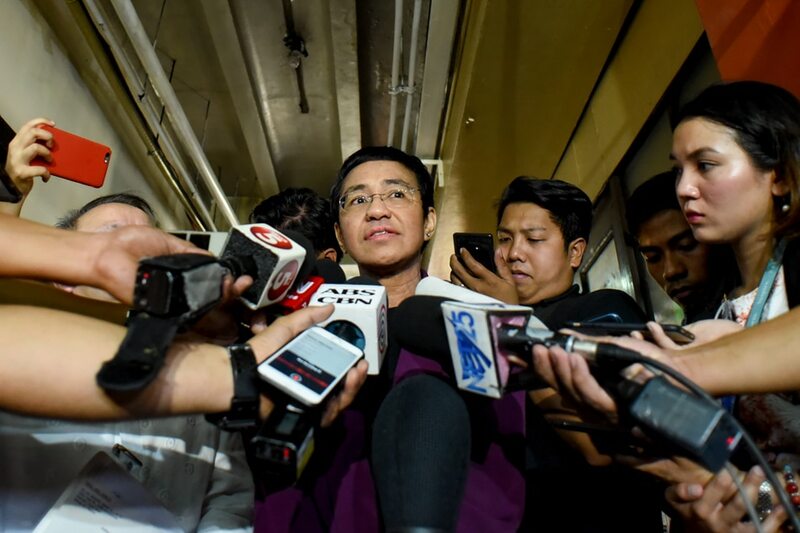 MANILA (UPDATE 2) - A local court deferred Tuesday the arraignment of Rappler chief Maria Ressa in connection with a cyberlibel case filed by a local businessman. The court proceeding was reset due to the Ressa's camp plan to file a motion for reconsideration in a bid to reverse a Manila court's denial of her plea to junk the case. The report also said Keng had been under surveillance by National Security Council for alleged involvement in human trafficking and drug smuggling, which his camp denied. Tagged in the case before the Manila Regional Trial Court Branch 46 are Ressa, Rappler and former researcher Reynaldo, Jr.
Rappler had argued the Cybercrime Prevention Act was retroactively applied because the law did not take effect until April 2014, long after the May 2012 initial publication and the February 2014 supposed republication under a justice department ruling. It said a temporary restraining order meant there was no law in effect at the time of publication. But the Manila court on Friday rejected Rappler's arguments saying that while the TRO may have stayed the implementation and enforcement, the law remained effective and any violation could be prosecuted after the TRO is lifted. The court also ruled a cyber libel case has a prescriptive period of 12 years, compared to 1 year for libel under the Revised Penal Code. Ressa said the case "is not just about Rappler." "This is about anyone who posts on the web, anyone who posts a Facebook post, anyone who writes anything online. That's why it's incredibly important to look at it and what we hope and pray for is judicial independence," she told reporters. Her lawyer, former Supreme Court Spokesperson Ted Te, who accompanied Ressa during the arraignment, said they will file a motion for reconsideration "in the hope that the judge may see the soundness of the argument and reconsider the ruling." "Our position remains the same: The TRO should have basically rendered the law at that point inoperative," he said. Ressa’s lawyer, former SC Spokesperson Ted Te, says position remains the same: The TRO should have basically rendered the law at that point inoperative. Te stressed they will follow the hierarchy of courts and make sure no technicalities could be raised against them should they decide to elevate the issue to the Supreme Court. Ressa meanwhile welcomed a fact-finding mission on the status of press freedom in the country being conducted by New York-based Committee to Protect Journalists. The move is headed by CPJ board chair Kathleen Carroll, a long time editor of Associated Press; Steve Butler, CPJ Asia Program head; and Peter Greste, a former Al Jazeera journalist who was detained in Egypt for over 100 days and now teaches at a university in Australia. They were set to meet with the Presidential Task Force on Media Security and other government officials. "You just look at the actions: 11 cases filed against Rappler by the Philippine government in 14 months. That is an incredible track record, right? And everyone of these cases we call ridiculous you know and we will fight them in court. I've had to post bail 8 times. I've also been arrested twice in 5 weeks," Ressa said. "I'm just a reporter, I'm just a journalist trying to do my job and I ask the government to let us do that. They should not be afraid of being held to account, of being asked to explain their actions to the Filipino people," she added. The case has nothing to do with Ressa's work as a journalist, Presidential spokesperson Salvador Panelo earlier said, following allegations that the legal battle was politically motivated.